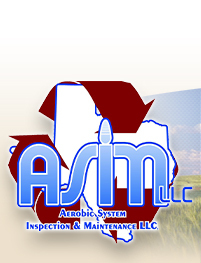 We would like to thank you for giving us the opportunity to provide the proper maintenance for your aerobic septic system. We do our best to provide quality service to our customers. As you know, keeping a current maintenance contract on your aerobic system is required and enforced by the County Health Department (Environmental Services). As of September 1, 2012 a new rule was passed and put into effect by the Texas Commission on Environmental Quality (TCEQ) regarding septic systems. 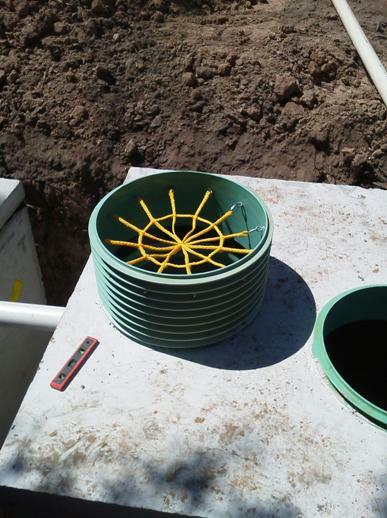 This new rule addresses the security of lids and risers on septic systems. They have realized through unfortunate situations in the past years that septic systems are not completely safe for children and animals to be around. Quite a few lids are not secured by screws of any kind for security. In this case, it would be very easy for a child or anyone to walk up and be able to open the lid to a septic tank. For maximum safety, the new rule requires all lids to be either secured by screws or the lid weigh at least 65 lbs. Also, each tank opening should have a secondary safety apparatus installed inside the riser. This way, if someone were to open the secured lid, there is no way to fall into the tank. This new rule has gone into effect and it is the septic maintenance company’s job to make homeowners aware of the new rule and we can explain how to bring your system up to code and give an estimate for that. It is ultimately the homeowner’s responsibility to have their system brought up to code under the new rule. Here are some important points from the new rule. (c) With the exception of septic tanks, all inspection and cleanout ports shall have risers over the port openings which extend to the ground surface. A secondary plug, cap, or other suitable restraint system shall be provided below the riser cap to prevent tank entry if cap is unknowingly damaged or removed. (d) All septic tanks buried more than 12 inches below the ground shall have risers over the port openings. The risers shall extend from the tank surface to no more than 6 inches below the ground. A secondary plug, cap, or other suitable system shall be provided below the riser cap to prevent tank entry if the cap is unknowingly damaged or removed. (2) Risers must be permanently fastened to the tank lid or cast into the tank. The connection between the riser and the tank lid must be watertight. (3) Risers must be fitted with removable watertight caps and protected against unauthorized intrusions. Acceptable protective measures include: a padlock, a cover that can be removed with tools, a cover having a minimum net weight of 65 lbs set into a recess of the tank lid, or any other means approved by the executive director. (g) Installation of risers for OSSF components installed on or after September 1, 2012, are considered an emergency repair as described in §285.35 of this title and may be performed by either a licensed Installer, licensed maintenance provider, or registered maintenance technician. (i) All inspection reports sent to Authorized Agents, Regional Offices, and homeowners must document that the access to the OSSF inspection and cleanout ports was secured after the maintenance or inspection activities were completed or that the OSSF system owner refused to pay for repairs that were needed to secure the OSSF inspection and cleanout ports. If you have questions about your septic system and how to bring it up to code, please call or email our office (979-774-3190 or codi@asimseptic.com) to make an appointment for a technician to come out and evaluate your risers and lids.